Residents living on a housing estate built on contaminated land have endured a 10 year ‘nightmare’ waiting to find out who was responsible for the clean-up. The land in question formed part of the former site of the Willenhall Gas Works, which closed in 1957. The West Midlands Gas Company sold the land to McClean Homes (now Jim 2 Ltd) upon which the site was split and a number of homes were built by McClean and another developer, E Fletcher Builders (which has since been dissolved). In 2007, as part of its wider contaminated land strategy, the Council investigated the land. During the course of March 2012 it determined that two areas on the site had been contaminated with benzo(a)pyrene, a known carcinogen, as well as heavy metals, tars and a gas-manufacturing by-product known as Blue Billy. On this basis, the Council concluded that there was a significant possibility of significant harm. Residents have been kept in a hellish limbo for over a decade and fear that the clean up itself could now also take years. Walsall Council served a remediation notice on Jim 2 Limited in 2015 after the Authority claimed that the firm was liable for the contamination – but the company lodged an appeal with the Planning Inspectorate, which then led to a public inquiry. The inquiry findings went to the Secretary of State for Environment, Dr Therese Coffey, who ruled in 2017 – now ten years since contamination was discovered – that the notice should not have been served. The inquiry agreed with the Planning Inspectorate that Jim2 had not caused the contamination simply by moving soil around and infilling during its groundworks before the houses were built, and that Walsall’s finding to the contrary had been unreasonable. It therefore upheld the appeal and it now leaves Walsall Council responsible for the clean-up work and a potential bill of £2.5 million. 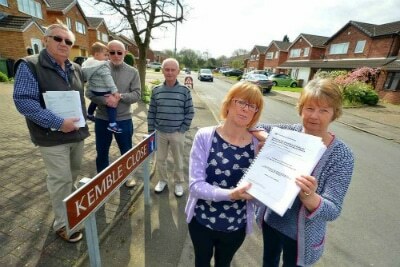 Jo Comley has lived on Brookthorpe Drive for 25 years and said: “Life has essentially been put on hold for 10 years while this has been going on and it hasn’t been fair on us. “We have been stuck in the middle, absolutely incapable of doing anything to move the situation along. Residents were worried about house prices falling and growing vegetables in their gardens after it emerged their gardens were polluted. The Willenhall appeal decision is a rare test of the legislation on determining who is responsible for cleaning up past pollution. It demonstrates how complex and lengthy these determinations can be and therefore how much of a headache it can be for homebuyers if they stumble into this without understanding a site’s past history. Their actual property may not be directly affected, but the knock-on effects cannot be under estimated. 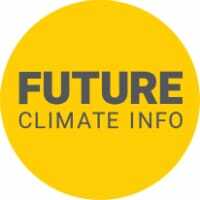 Ensure your client understands the potential risk from contaminated land with Future Climate Info’s clear and concise Environmental Reports.